Newsletter #2 is online for Current Students! And we’re having a Costume Sale! If you are a current member of The Little Mermaid Jr, please check the “Members” tab and click on “The Little Mermaid Jr.” for Newsletter #2. It is important you keep up-to-date with newsletters for information regarding classes, requirements and shows. WE’RE ALSO HAVING A COSTUME SALE! If you’ve got a production in the works or seeking out the perfect Halloween costume, come check out our costume sale! 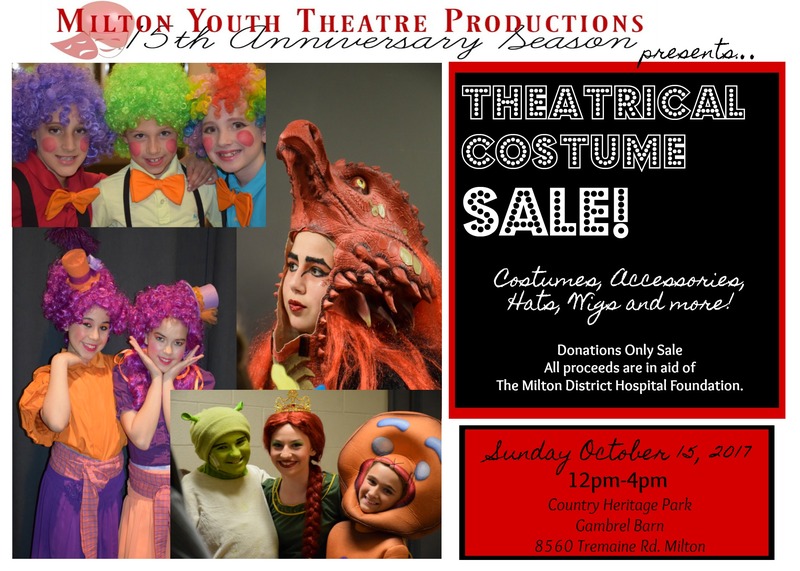 MYTP celebrating it’s 15th anniversary season which means we’ve got 14 years of costumes and show pieces that are now on sale. Come see us at Country Heritage Park in the Gambrel Barn on Sunday October 15th 2017 between 12pm-4pm. All proceeds will be donated to the Milton District Hospital Fund.